The sun is shining... the birds are singing.... It's that time of year again! Time to hit the road and see what adventures await! 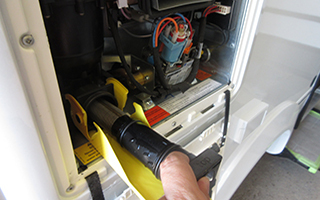 Once the temperature is staying consistently above 32°F/0°C, it's safe to de-winterize your motorhome. Follow these steps, and we'll have you one step closer to being on the road again! 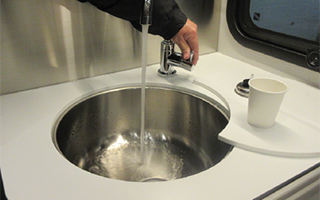 Before you begin, make sure you've placed your water filter back in to the water heater and close the pressure valve if it was left open and close the drain valve (valve D) below the galley sink. 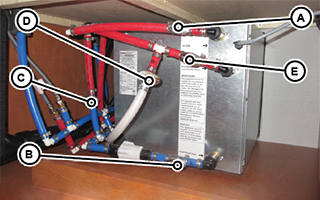 Step 3: Inside the unit, turn on each faucet one at a time to allow water to flush from both hot and cold lines. Turn faucet off once water coming through is clear. Don’t forget the external shower/toilet! 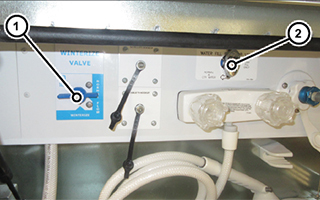 Step 4: Once the antifreeze has been flushed out of the water lines, set your Water Fill Selector Valve to “Water Tank Fill Only”, and fill the fresh water tank. 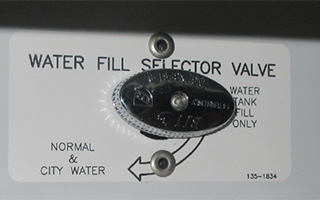 Be sure to close the fresh water tank drain if you left it open during winter! 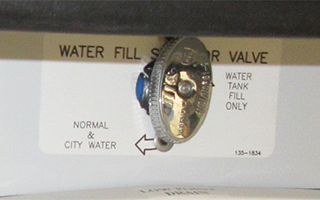 Step 5: Once the fresh water tank is full, disconnect the water hose, set your Water Fill Selector Valve back to “Normal & City Water”, and turn on the water pump. 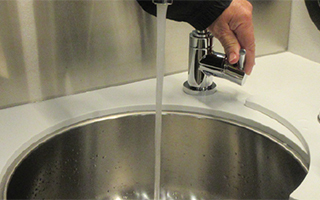 Step 6: Repeat step 3, running the fresh water through all the faucets again for a few moments. 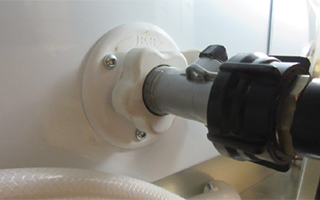 Step 8: If your motorhome is equipped with a water filter, turn off the water pump and you can now replace the filter that was removed during winterization. That's it! Your motorhome is now de-winterized and ready for action!